You met on one of those online dating sites everyone is talking about, chemistry was wonderful, conversation seemed to flow, and the pictures looked attractive... it all looked so promising! So you took the next natural path- you set a date. When you finally met, what you hoped would turn out to be fireworks really didn't. Yet something is keeping you on the fence. You need advice, namely second date advice. Is this person worth meeting for a second date, and how do you decide whether or not to proceed? Here are some questions for you to consider before you get a second date with that person. Was Your Date On Time? Punctuality is a real indication of character. Sure, there are more serious aspects to your date and what you should really ask yourself is how you felt. But if someone is late on that first date, do they really value you or your time? Are they considerate of other people and especially you? To be late on a first date is a red flag for what might be an ongoing pattern. Granted, there are traffic jams and other unforeseen issues, but you got to your date on time, why can’t they? On the other hand, if they are on time, they clearly cared enough to respect you and your time: a good first sign. Did you Feel Any Chemistry? Consider your situation both online and offline. At times, people have an easier time opening up online which is why conversation can flow on the dating site. They also have time to edit themselves and think of responses, which is not an option when you’re sitting face-to-face on a date. Dating sites like JDate even offer winks and pre-written messages so initiating contact comes off easy. So reflect on whether there was any sort of chemistry on the date, or if not, what could be the underlying issue. Was it a natural lack of attraction or lack of conversation? Was possibly shyness that got in the way of your date displaying their true personality? If you are not quite sure but still think that there’s potential it’s definitely possible that a second date will feel less intimidating and allow you both to open up more. Did Your Date Make Eye Contact With You? The eyes tell a lot about another person. If someone looks into your eyes when you speak, they are probably interested in what you’re saying. On the other hand, lack of eye contact may indicate disinterest or discomfort. When someone looks down or away from you, not really engaging in eye contact they may be timid or lack self-confidence. If they gaze off into the wild blue yonder while you are talking, they may be bored. Be aware of their eyes and how their movements makes you feel. Although it’s only the second date, try and read their facial expressions, do they keep a straight face or give a casual smile? Perhaps you can deal with shyness, but bored disinterest may be a show-stopper. Were There Uncomfortable Sexual Undertones? Obvious sexual undertones may not bother you, but on a first date, be wary of them. A leering look, comments full of sexual innuendos or touches inappropriate for a first date may be a warning or simply an insecure way of trying to impress you. Either way be careful and consider your priorities. Evaluate whether your date is looking for the same type of relationship as you are. Did Your Date Answer Questions the Same Way in Person as Online? Questions are the way to get information and figure out your level of compatibility with someone. 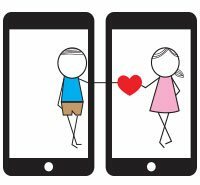 Most dating sites offer some kind of questions based communication as a means of categorizing and type-casting their users. 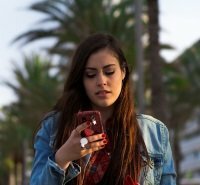 Zoosk has even taken the liberty of creating questionnaires, helping users to get a whole lot of information about a potential date before date time comes around. Now you're on a date and you're trying to determine if the virtual persona you've been chatting with syncs up with the one who's sitting right across from you. Were the answers to your first date questions consistent with your online conversations? Did they match the profile information? Discrepancies may be a cause for concern, and lack of honesty should have you reconsidering a second date. Intuition is one of the most powerful tools there is. Ask yourself, how did you feel? Were you uncharacteristically nervous? Were you put off by things he/she said? And worse, were you scared or feeling even remotely threatened? Any of these are sure-fire nays for going on to round two. Did you find the encounter unbearably dull? Were you totally disinterested in the conversation topics? Do you suspect date number two will be more of the same? Or perhaps it was like pulling teeth to get your date to talk. You might want to get second date advice on conversation topics before deciding to cross the boredom bridge to date number two. Did Your Date's Appearance Match the Profile Photo? If something doesn't seem quite right, it could be your date's appearance. 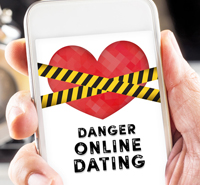 Before you meet in person, you have a good idea of what your date looks like based on their online dating profile. Clearly, you found them attractive if you agreed to date number one. However, if upon reaching the date, you notice that they look significantly different than their profile pictures, it’s your prerogative to turn down date number two. Honesty is important in a relationship and if it’s violated from the very start, it’s a good reason to move on and meet someone new. Next time, try a dating site like Match.com​ that offers video chat to ensure the other person across the screen looks like the profile picture. Is it possible that the location of the date made for an uncomfortable situation? Maybe by trying a ‘comfortable’ setting for the second date, you can see a different facet of your date’s personality. If you went to a coffee shop on date one, opt for a sports event, a walk in the park or even a movie. People act differently in different places and situations, and after your lackluster first round, in a new environment, you may find your date is an unpolished gem. Remember, while answering these questions can certainly give you a clearer idea as to whether not you should go on that second date, it’s your own intuition and general feeling that should guide you. Decided against a second date or interested in meeting someone new? Try a site with better matchmaking success! With its proven profiling technique, eHarmony has one of the highest matching success rates in the online dating world.